Handling Website’s Audio and Video in web browser without native player and flash is big problem in several years ago. HTML5 is a revolutionary language that has totally changed how things were done before, and in this post i am going to share 15 jQuery HTML5 Sound & Audio Player Plugins. This is a powerful responsive HTML5 mp3 player for your website that runs on all major browsers and mobile devices like iPhone, iPad, IOS, Android and Windows8. Royal Audio Player supports unlimited playlists and each playlist can have unlimited tracks. 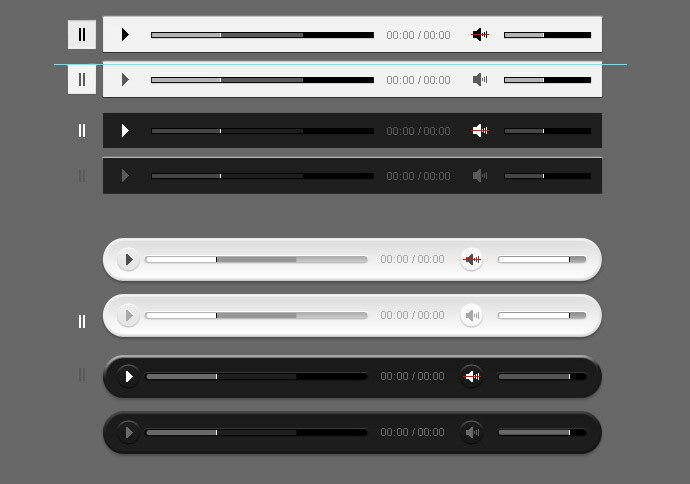 It allows you to rapidly weave cross platform audio and video into your web pages. A dead simple way to turn any unordered list of mp3s into a beautiful playlist. 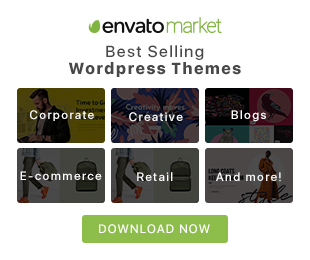 It is a powerful HTML5 audio player for your website with responsive layout and full API spport, it runs with the new HTML5 audio engine and if its not supported, it will use Adobe Flash fallback. 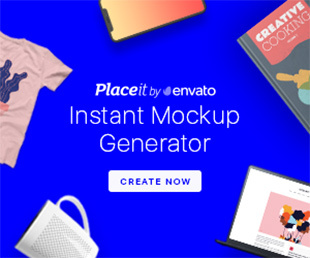 It comes with a lof of options and an extensive API(methods). The skin can be edited via CSS. 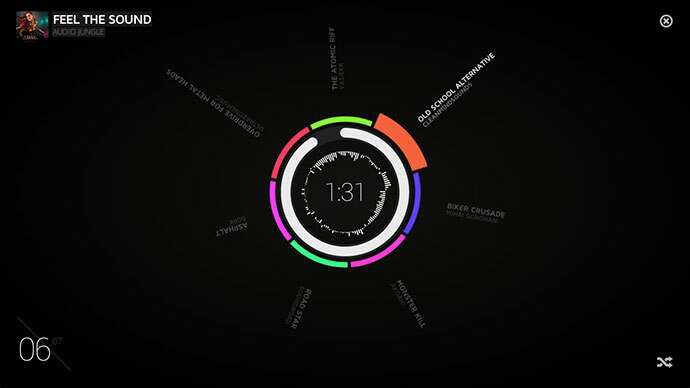 This is a jQuery plugin that helps you create multimedia applications very quickly. It is useful player which very easy to use and looks very modern. 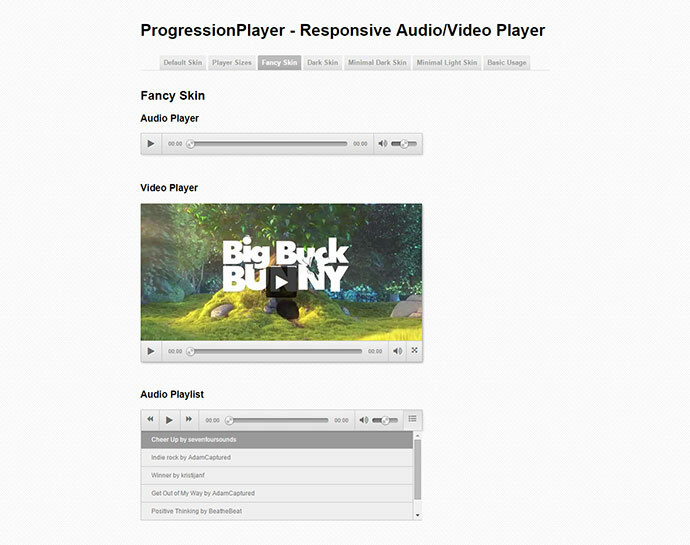 Show off your work with this easy-to-customize and fully featured Audio/Video Player. This is a simple jQuery plugin that plays audio natively in modern browsers and uses Flash where native playback is impossible. 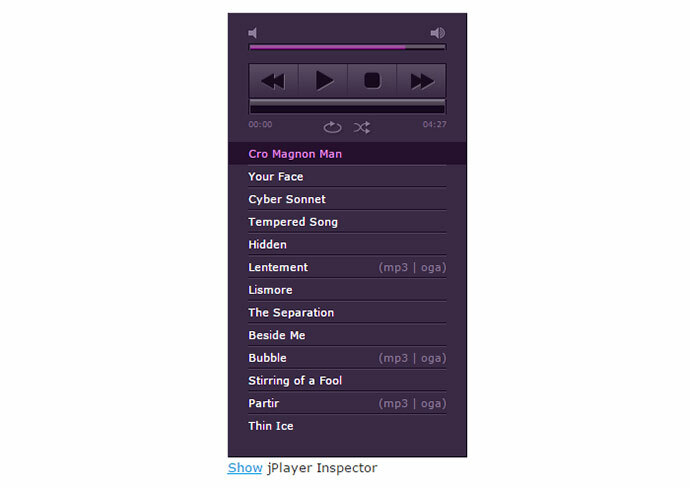 HTML5 music player with pretty slick compact music player interface. 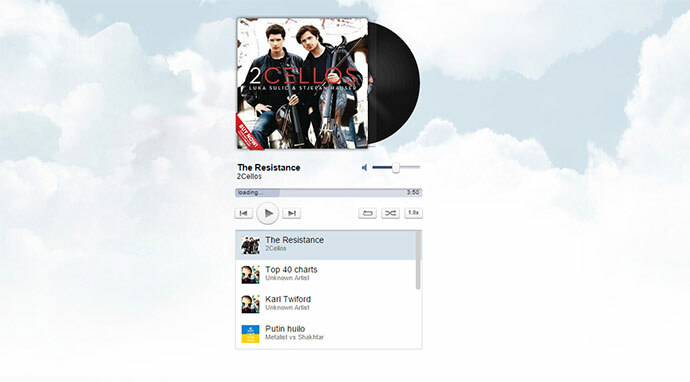 Responsive audio player that works well on Internet Explorer 9, 10 and gracefully degrades to mini mode on earlier versions.